If you work or live in Homestead and you were the victim of negligence, the Homestead personal injury lawyers at the Wolfson Law Firm in Miami are available to provide legal representation to you and your family. We can come to you or you can visit us at our Miami personal injury law office. All you have to do is call us at (305) 285-1115 for your free consultation. We handle all types of personal injury cases throughout Florida on a contingency fee basis. That means you never owe an attorney fee until and unless we recover money for you. In certain cases we can even get the insurance company to pay our fees so that you can receive all the benefits less any costs. We invite you to call us so we can explain this issue in greater depth. At the core of the attorney-client relationship is the essential element of trust. In order for there to be trust, there must be clear communication. Our Homestead personal injury lawyers work diligently to be responsive and informative to all of our clients both in English and in Spanish. Jonah Wolfson, the managing attorney of the Wolfson Law Firm, is a bilingual Homestead personal injury and wrongful death lawyer in Miami. 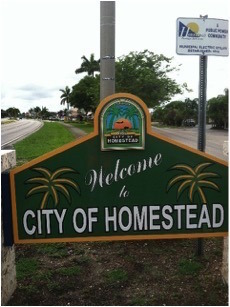 Our Homestead personal injury legal team in Miami is also bilingual and ready to help you. Just call us at (305) 285-1115 and let us start working for you. If you have any questions after any Homestead accident just contact us at (305) 285-1115 for your confidential consultation. Get the answers you are entitled to as well as the justice that you and your family deserve. Our Miami personal injury lawyers serve the good folks of Homestead and South Florida including the communities of Princeton, The Hammocks, Goulds, Florida City, Leisure City, Naranja, Silver Palm, Redland, Cutler Bay, Quail Heights, and Palmetto Bay.